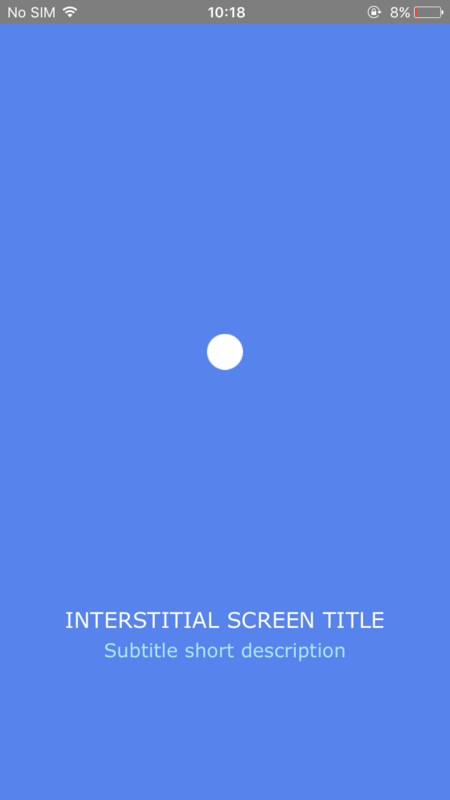 The Interstitial screen can be used to fill natural transition points in the flow of an app. E.g. when new content is being loaded or whenever a major change in state occurs that a clean break is required. 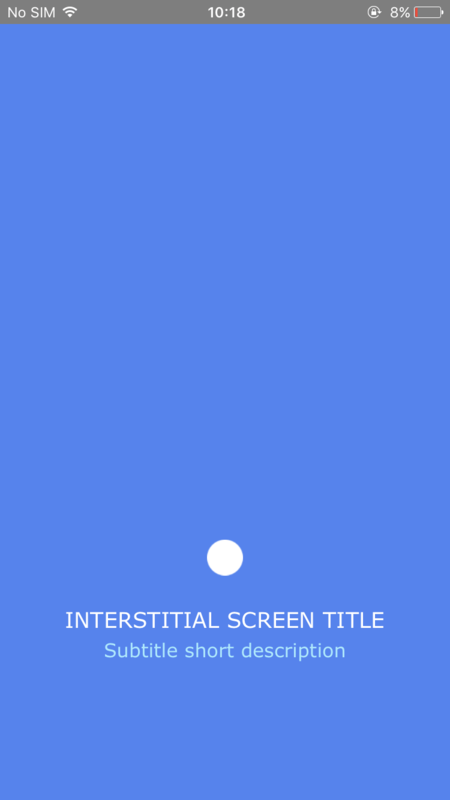 It is primarily a loading screen whenever a delay is encountered, you can use this screen to keep the user engaged. For instance, use it to tell the user that his/her request has been received and the app is working on it.